Opened in 1915. The first Superintendent was William Robinson who served 21 years and transformed the site into a garden. The old garden house was located near to the present house. 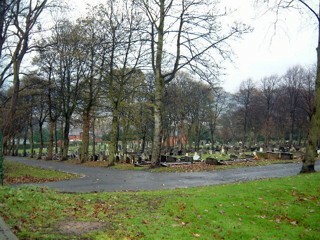 The first burial was in 1916, a Miss Waugh of Newcastle. The GPR holds 321 grave and 613 person records for the cemetery.